With the not only PlayStation 4 consistently outselling the Xbox One but selling better than anyone could've guessed this time last year, it's hard to pick out too many flaws aside from a strong desire for more games. One of the few complaints consistently leveled at the system is the DualShock 4's incredibly short battery life – the only spot the PlayStation 3 can really claim an advantage. If you're the type of gamer who turns the system on Saturday morning and off on Sunday evening, Nyko's Power Pak might be for you. Nyko aims to double the battery life of the DualShock 4, bringing it from 7-10 hours up to 14-20. The accessory snaps onto the back of your DualShock 4 controller and includes a Micro USB port, allowing you to recharge the controller while you play just as you normally would. 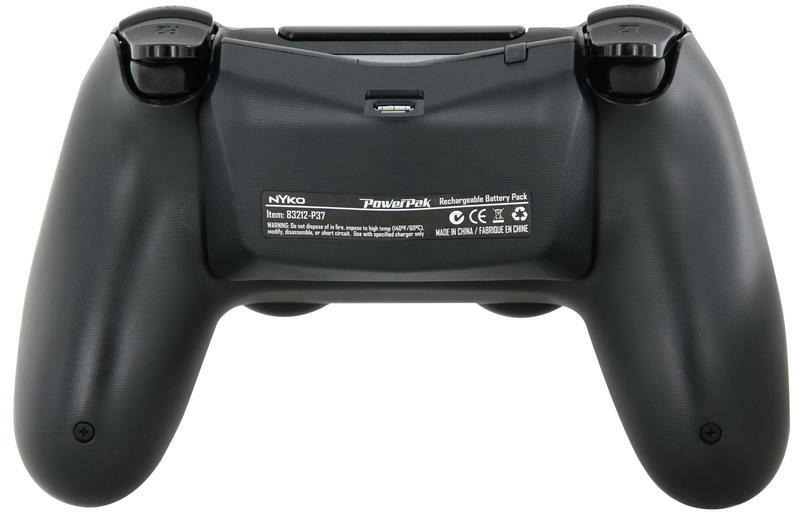 Nyko claims the Power Pak doesn't add substantial weight to the controller or impede its ergonomics. With so many devices including Micro USB ports lately – smart phones, tablets, e-readers, controllers – these sorts of devices are becoming more and more common. If you're looking for a rechargeable battery charger for your PlayStation 4, Nyko's Power Pak might be your best bet. Nyko lists the item as retailing for $19.99, but it's already up on Amazon for less than $16.